For the serious boater and fisherman the GMR 1224 xHD2 Radar is a 12 kW 4’ open array for offshore navigation or fishing. 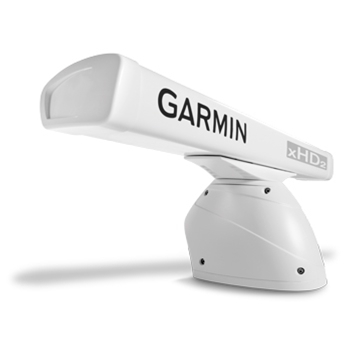 Garmin’s 4’ open array - the GMR 1224 xHD2 provides up to 72 nautical mile range with a 1.8’ beamwidth that will provide great target separation and definition whether navigating in the dark or heavy fog. With better target separation that a tight beamwidth provides, you are able to see both marker buoys marking a channel of harbor entry point. Without this both buoys may present themselves as one object leaving you to guess which way to go. 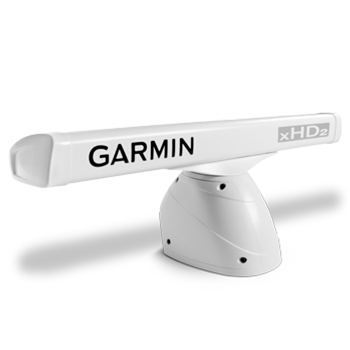 Connecting the GMR 1224 xHD2 to your Garmin network is easy and requires just one cable that is furnished with the radar. The GMR 1224 xHD2 Radar and Pedestal has automatic features like Dynamic Auto Gain, which automatically adjusts the gain levels to optimize your view of harbors, shorelines , and also offshore in open waters. 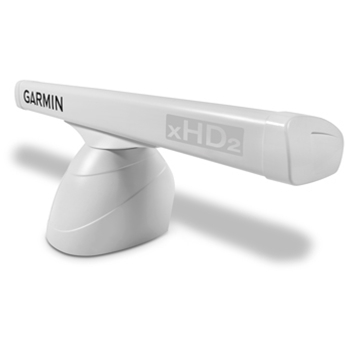 Also the Garmin 1224 xHD2 has Dynamic Sea Filter which automatically adjusts gain compensate for calm, medium or rough seas. For the fisherman there is a Bird Mode which helps to locate birds at the water’s surface where baitfish are also likely to be found, and as every fisherman will tell you, “where there are birds on the surface there are fish”. Dual range can be set to display both close and long range targets using the GMR 1224 xHD2, which also allows you to set up safety zones and receive and alarm when an object enters the zone. Garmin’s GMR 1224 xHD2 is MARPA capable when a heading sensor is added. Marpa will keep track of up to 10 selected targets helping you keep track of these vessels to avoid collision. You will also need a heading sensor for radar overlay which puts the radar’s image on the chartplotter’s map page. The GMR 1224 xHD2 Radar is designed to be easily installed and used, there are no complex user settings, just install it and start using it, and receive optimal performance in all conditions.